A new police initiative in Blyth has been launched to reinforce the message from officers that ‘there is no place for burglars in the town’. The neighbourhood team proactively tackle these types of offences on a daily basis and Operation Overwatch, which will run from today for two months, will see officers give home-owners advice and carry out extra patrols. The response, which includes working to address any issues residents may have, also comes following concerns raised at a recent community engagement event. Acting Inspector Neil Hall said: “These types of crimes are incredibly intrusive to victims and we’re here to reassure the community that we take a firm stance. 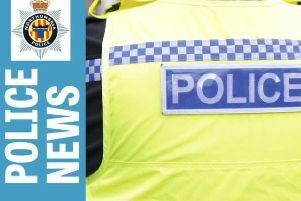 “I want to make it clear that there is no place for these offenders in Blyth and robust action will be taken against those causing harm to the public. “Those found to be committing these offences will be brought to justice. As part of the initiative, officers will be providing crime prevention advice to residents and organisations across the town. Chief Inspector Chris Stevens, from Northumbria Police, said: “Having your car or home broken into is extremely upsetting. “But victims of this crime can also be left feeling extremely frustrated when they think they could have potentially prevented it by taking simple precautions. “Thieves are opportunist and will try doors in the hope they will find one unlocked. It then takes them seconds to make-off with easily taken items left in view. “Our advice is simple – take a few moments to check you’ve locked your doors and windows and make sure all valuables are locked away or out of sight. “A break-in or theft is frustrating and distressing, but could also cause financial hardship as insurance companies may not pay out if the correct security measures weren’t taken. Anyone with any concerns or information is asked to call the Blyth neighbourhood team on 101.